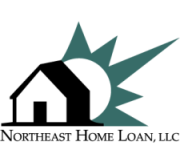 Security | Northeast Home Loan, LLC. Customers may have concerns about the security and privacy of their transactions involving the use of the Internet. Northeast Home Loan is committed to protecting the security of customer information in the Internet environment. How we use information collected over the Internet is covered by our Privacy Notice.